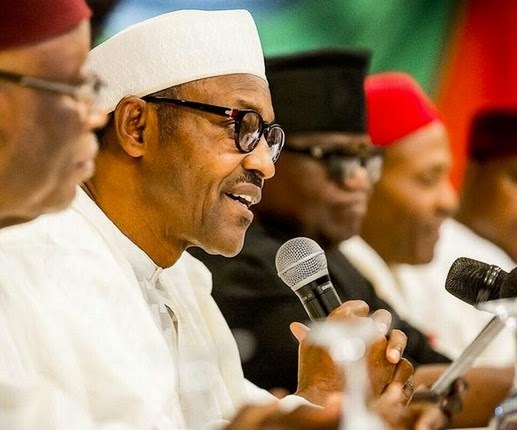 President Muhammadu Buhari on Monday in Aburi, the Republic of Ghana reassured Nigerians and friends from the international community that he will name his cabinet before the end of the month. “After I was sworn-in, I said I will have my cabinet in September. I expect that Nigerians should ask me questions after the 30th of September if I do not do so,” President Buhari said. Ogbonaya Onu, Babatunde Fashola and another politician from Lagos loyal to Asiwaju Bola Tinubu, one of the serving Senator from the North West, Rotimi Amaechi, Donald Duke, a former head of an important committee in the Oil sector from the North, a respected lecturer based in Ibadan, etc. President Buhari gave his assurance at a joint press conference with President John Dramani Mahama. Buhari also said the Nigerian military, in close collaboration with the Multi-National Joint Task Force, has recorded remarkable progress in the fight against Boko Haram since he assumed office as President. "In the northeast, the military is gaining ground and Boko Haram has been limited to the Sambisa forest."